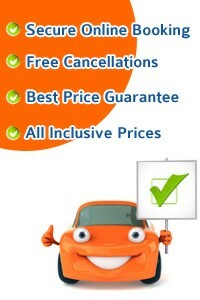 Looking for the cheapest car hire in Venice? 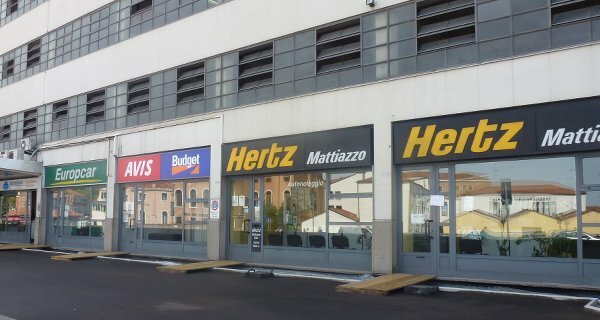 City Car Rentals will compare the market to get you cheap but high quality Car Hire in the city of Venice and Venice Marco Polo Airport Car Hire from Hertz, Avis, Alamo, Budget, Dollar, Sixt, Thrifty and Europcar. 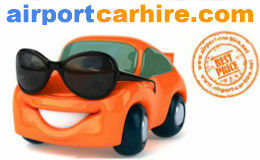 Car Hire Venice Great deals available for car hire in Venice Italy. After seeing the sights in Venice why not rent a car and drive to your next destination Florence or Milan One way rentals available so you can pick up the car at one city and drop off at another. 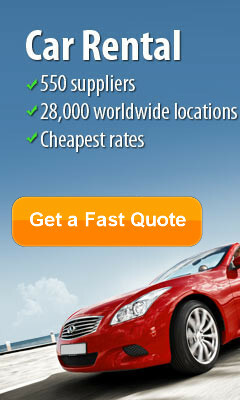 cross border car rental available if you wish to drive to another country. Desks are on the 3rd floor of the multilevel parking P1. Once you exit Venice Marco Polo Airport, follow the car rental signs and pass through a dedicated path towards the front of the parking of the multi-level car park. Take the lift to the 3rd floor to the rent-a-car area. Please following direction towards Venice Marco Polo Airport on arrival at the airport follow the CAR RENTAL RETURN signs to the multi-level car park. To enter in the multi-level car park, please collect a ticket in order to access to the 3rd floor of the building. 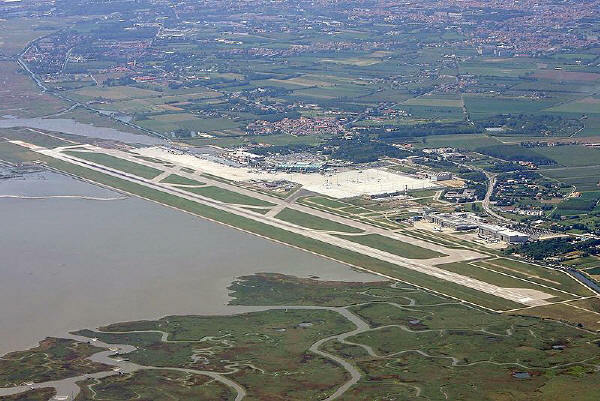 Location: Venice Airport Venice Marco Polo Airport is just 20 minutes from Venice City Centre, 13 kms. Passengers with Reduced Mobility: There is assistance at Venice Marco Polo Airport for passengers that are disabled or with reduced mobility. p>Venice, also known as the perfect place to ask your fiancée to marry you, is an amazing city that should be on everyone's bucket list. If you really want to think about the importance of it, just take notice of the fact that is on the list of World Heritage Site, together with its lagoon. The city is located on no more of 118 small islands, separated by canals and linked by bridges. It is sited alongside of the Venetian Lagoon, which goes around the shoreline, right between the mouths of the Po and the Piave Rivers. Not only that it is an extremely romantic city, but Venice is also known as a very important center of culture, its architecture and artwork being remarkable. Since Venice is almost car free, public transportation is highly recommended. But if you are staying for more than a city break here, you will be tempted to go on some road trips, for sure. Who could resist discovering the mysteries of Italy? There are a lot of destinations to go to with your rental car, for sure! Since you are for sure feeling romantic from all that wondering around is vaporettos, why don't you take it to the next step and try Verona? In case that does not ring a bell, the city of Verona is the home of the eternal couple of lovers, Romeo and Juliet. The place is not only full with history, but is also very well preserved, and has a very interesting Roman arena in the center of the city. While you are there, do not forget to visit the famous Juliet's balcony! Italy is very well known for the fact that in every region of it produces wine, and the area around Venice lives up to this tradition. How about driving to the Veneto and the Friuli Region for some wine tasting? You will be amazed by the varietals of wine that you will be given to sample and those will, for sure, get you in the mood for some fancy pasta restaurant for dinner. You are still in Italy, right? If you are not yet tired of so much water, and feel like exploring some more of it, how about trading Venice's canals for Lake Garda? 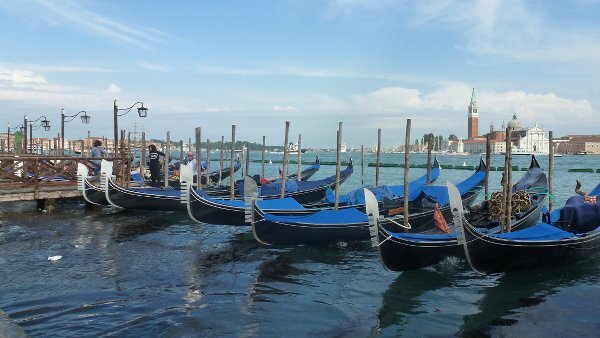 This is an extremely popular getaway, and is close enough to Venice in order for you to plan the perfect day trip. Of course, you might be more in touch with your artistic side, and that is the reason why you have to take your rental car and go to Padua. This location is known for its artistic treasures and while you are here, remember that the Scrovegni Chapel, with its 14th century frescoes completed by Giotto, and the piazza at St. Anthony's Basilica, with its equestrian statue by Donatello, are definitely a must! What are you waiting for? The romantic city of Venice is situated on a group of 118 small islands separated by canals and linked by bridges – and it’s almost exactly the same as it was 600 years ago. Located in the marshy Venetian Lagoon, stretching along the shoreline between the mouths of the Po and the Piave Rivers, Venice is a city renowned for its beauty as well as its festivities, art and architecture. Both the city and its lagoon are listed as World Heritage Sites. During the Middle Ages, Renaissance and Baroque periods, Venice was a major centre of art, developing a unique style known as the Venetian School. Considered by many as one of the most important tourist destinations in the world, Venice continues to celebrate its rich musical and artistic influence - past and present - with a dazzling array of attractions, sights, tours and a thriving modern art and music scene. A trip to Venice wouldn’t be complete without a Gondola ride around the complex system of waterways. Go with a group or hire a gondola to yourself and sit back, watching the world go by using this tranquil, and romantic, mode of transport. 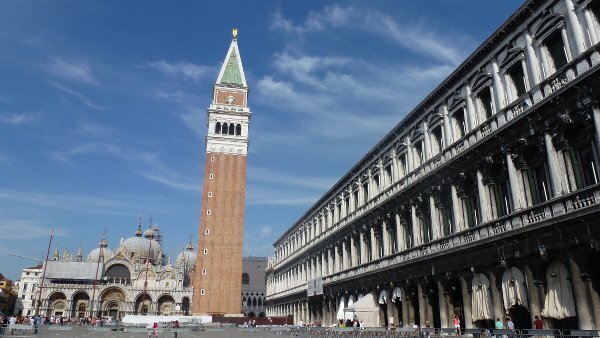 Feed the pigeons in St Mark’s Square before visiting the Palazzo Ducale – for a small additional fee, you can request a ‘secret’ guided tour of the usually unseen parts of the building, including Casanova’s jail and the five hundred year old roof. Visit St Mark’s Basilica, one of the most amazing structures in the world, and go up into the bell tower to see views over Venice and the lagoon. Other notable churches include the Santa Maria Gloriosa dei Frari, home to fine monuments and paintings (including 'Assunta' by Titian), the picture-book Santa Maria dei Miracoli and San Simeone Piccolo, the last church built in Venice. Visit the Scuola Grande di San Rocco guild house, a Manierist masterpiece by Tintoretto, and the perfect example of this style. For an alternative view of the city, visit the Jewish Quarter, one of the original ghettos in the city but now a thriving Jewish community – but remember, everything on Fridays and Saturdays will be closed. The Rialto Bridge one of Venice’s most photographed iconic images, can be visited by foot or travelled beneath via gondola – both options are equally beautiful. If you are on foot, the farmers market and Rialto market, as well as vast array of shops and boutiques are nearby for shoppers and souvenir seekers. Venetian glass is colourful, elaborate, and skillfully made – visit one of the artisans in the Venetian island of Murano for a top quality example. Food lovers must try the bisàto (marinated eel), pan del pescatore (bread of the fisherman) and bussolai (butter biscuits made in specialist shapes). As cars are not allowed drive inside Venice, collect your hire car at Venice outskirts or Marco Polo airport or Venice Mestre and travel a bit further afield to see what this glorious region has to offer. Escape the city bustle by taking a trip to Roman spa town of Abano Terme or the nearby beach trip to Florence. Hotel & Residence - 3 star superior category, is located at just 900 meters from the international Marco Polo Airport in Venice, next to the Cà Noghera Casino, the first American style facility in Italy, and is a mere 12 km from the historical centre of Venice. The Hotel is organized and managed in order to provide a highly-functional base from which it is possible to move around the area; the excellent position of the hotel makes it quick and easy to reach the motorway and the railway station at Mestre. The 23 hotel rooms have been stylishly furnished and are fitted with all the comforts one could require; management works constantly to satisfy the requests of even the most demanding clientele. Palazzo La Scala is situated in the heart of Venice, on the first little alley on the left off Calle dei Fabbri coming from Rialto Bridge, named Calle della Scala, and nearby the famous theatre Carlo Goldoni. 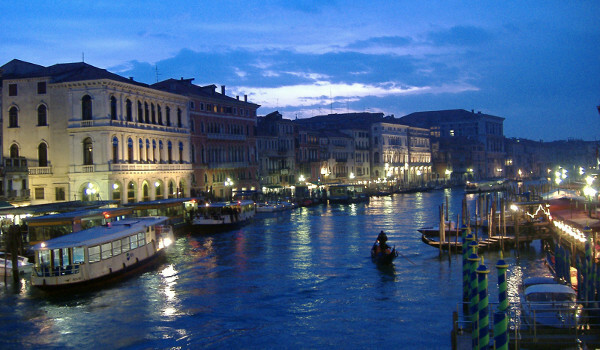 Palazzo La Scala is the annex of Hotel Bella Venezia just few steps on the same street. Well known Venetian landmarks such as Piazza San Marco, Ponte di Rialto, its fish markets and the Accademia are just minutes away. Hotel Carlton on the Grand Canal, Venezia this elegant, refined and above all, welcoming hotel on the Grand Canal has been run for 30 years by an experienced and diligent Venetian family. Looking out onto the Grand Canal – a romantic stretch of water lined with magnificent palaces and imposing buildings, you are within a unique setting. Boasting easy access to the famous Rialto Bridge and St. Mark’s Square not to mention numerous other tourist attractions and sites of interest. A stunning interior - pastel shades, Venetian stuccoes, glass wall lamps made on Murano, furnishings which, while being functional, recall the glorious Serenissima epoch: these are the elements of the new hall and bar, completely mirrored on marvellous Istria stone.